La Premier League 2017–18 va ser la 26a edició de la Premier League, la principal lliga de futbol professional organitzada per clubs de futbol a Anglaterra. El calendari es va anunciar el 14 de juny de 2017. La competició va començar l'11 d'agost de 2017 i es va acabar el 13 de maig de 2018. Wolverhampton Wanderers, Cardiff City, i Fulham van ser promoguts des del Football League Championship. Després de l'última temporada, Swansea City, Stoke City, i West Bromwich Albion van ser relegats. Manchester City va guanyar la competició el 15 d'abril, el seu tercer títol de la Premier League i el seu cinquè títol en el futbol anglès. Regles de classificació: 1) Punts; 2) Diferència de gols; 3) Gols a favor; 4) Eliminatòria (només si cal per decidir el campió, equips per al descens o equips per a les competicions de la UEFA). El Jugador de l'Any va ser Mohamed Salah. El Jove Jugador de l'Any Leroy Sané. ↑ «Premier League fixtures». www.bbc.com, 14-06-2017. [Consulta: 27 juliol 2016]. ↑ «Man City win Premier League as Man Utd lose to West Brom» (en angles). BBC Sport, 15-04-2018. [Consulta: 15 abril 2018]. ↑ «Football Ground Guide». 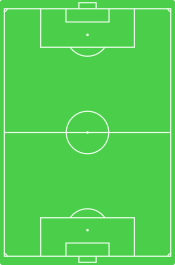 Football Ground Guide. [Consulta: 13 agost 2016]. ↑ «Statistical Leaders – 2017». PremierLeague. [Consulta: 8 abril 2018]. ↑ «Statistical Leaders – 2017». PremierLeague. [Consulta: 13 abril 2018]. ↑ «Wagner wins Barclays Manager of the Month award» (en en). Premier League, 08-09-2017 [Consulta: 8 setembre 2017]. ↑ «Mane earns EA SPORTS Player of the Month award» (en en). Premier League, 08-09-2017. [Consulta: 8 setembre 2017]. ↑ «Daniels strike voted Carling Goal of the Month» (en en). Premier League, 08-09-2017 [Consulta: 8 setembre 2017]. ↑ «Guardiola named Barclays Manager of the Month». Premier League, 13-10-2017 [Consulta: 13 octubre 2017]. ↑ «Kane wins EA Sports Player of the Month Award». Premier League, 13-10-2017. [Consulta: 13 octubre 2017]. ↑ «Valencia volley earns Carling Goal of the Month». Premier League, 13-10-2017. [Consulta: 13 octubre 2017]. ↑ «Guardiola named Barclays Manager of the Month». Premier League, 17-11-2017 [Consulta: 17 novembre 2017]. ↑ «Sane wins EA SPORTS Player of the Month award». Premier League, 17-11-2017. [Consulta: 17 novembre 2017]. ↑ «Boufal claims October Carling Goal of the Month». Premier League, 17-11-2017. [Consulta: 17 novembre 2017]. ↑ «Guardiola equals record Barclays awards streak». Premier League, 15-12-2017 [Consulta: 15 desembre 2017]. ↑ «Superb form earns Salah EA SPORTS award». Premier League, 15-12-2017 [Consulta: 15 desembre 2017]. ↑ «Rooney wins November Carling Goal of the Month». Premier League, 15-12-2017 [Consulta: 15 desembre 2017]. ↑ «Guardiola makes Barclays award history». Premier League, 12-01-2018 [Consulta: 12 gener 2018]. ↑ «Kane matches Gerrard with EA SPORTS player award». Premier League, 12-01-2018 [Consulta: 12 gener 2018]. ↑ «Defoe strike claims Carling Goal of the Month». Premier League, 12-01-2018 [Consulta: 12 gener 2018]. ↑ «Howe claims Barclays manager award» (en en). Premier League, 16-02-2018 [Consulta: 16 febrer 2018]. ↑ «Aguero named EA SPORTS Player of the Month». Premier League, 16-02-2018. [Consulta: 16 febrer 2018]. ↑ «Willian claims January Carling Goal of the Month» (en en). Premier League, 16-02-2018 [Consulta: 16 febrer 2018]. ↑ «Hughton claims Barclays Manager of the Month prize» (en en). Premier League, 09-03-2018 [Consulta: 9 març 2018]. ↑ «Salah named EA SPORTS Player of the Month». Premier League, 09-03-2018. [Consulta: 9 març 2018]. ↑ «Wanyama wins February's Carling Goal of the Month» (en en). Premier League, 09-03-2018 [Consulta: 9 març 2018]. ↑ «Dyche earns first Barclays Manager of Month award» (en en). Premier League, 13-04-2018 [Consulta: 15 abril 2018]. ↑ «Salah makes history with EA SPORTS award». Premier League, 13-04-2018. [Consulta: 15 abril 2018]. ↑ «Vardy wins March Carling Goal of the Month award» (en en). Premier League, 13-04-2018 [Consulta: 15 abril 2018]. ↑ «Manchester City players dominate PFA team of the year». BBC Sport. [Consulta: 29 abril 2018]. ↑ «Mohamed Salah named PFA Player of the Year ahead of Kevin De Bruyne as Liverpool star beats Man City rival to prize». The Sun, 22-04-2018. [Consulta: 29 abril 2018]. ↑ «PFA Player of the Year 2017–18: Liverpool's Mohamed Salah wins top award». BBC Sport, 22-04-2018. [Consulta: 29 abril 2018]. La pàgina va ser modificada per darrera vegada el 22 juny 2018 a les 19:13.